What do you look for when it's time to find a new neighborhood? Many military families start their hunt for a house by researching the best schools. Among the search filters on MilitaryByOwner, home shoppers can choose homes by the city or zip code that they prefer. Feeling at ease with a pending PCS is particularly important when transitioning to a widespread area like Hampton Roads, Virginia. If you're anticipating a military move to the Tidewater region of Southern Virginia, take a moment with me to explore the various cities around this military friendly locale. Virginia is known for its woodsy feel. Houses in and around the Peninsula are tucked amidst mature trees with spacious yards and neighbors who are avid gardeners. Many homes have architectural features in keeping with the early American feel of this historic location, such as lantern lighting, classic shutters, and even interior wood beams from colonial barns. Three neighborhoods of note are Tabb Lakes of Yorktown, the Denbigh area of Newport News, and Hampton’s Fox Hill. In addition to provincial charm, choosing a dwelling for your military family in the Tabb Lakes neighborhood will lead to the well regarded schools of the Yorktown area. With a Tabb Lakes address, your students could attend Coventry Elementary School, Grafton Middle School, and York High School. When looking for a premier school district, you'll be happy to find Yorktown school district reviews on Military Town Advisor, sharing that the schools are "some of the best in the country." "York County is an excellent school system with enthusiastic teachers and an administration committed to ensuring every student receives an adequate education. The class sizes are not too large, enabling every student that needs specific help from the teacher to get it if they ask for it. The people are overall very nice considering I've lived in other school districts and states where the people are not very friendly." "Gorgeous homes in cul-de-sacs in the sought-after Tabb Lakes community. Near I-64, shopping, restaurants, and recreational opportunities galore!" Not far from the banks of the James River, your military bunch can flourish and grow in the Denbigh section of Newport News. Here, blossoming Crepe Myrtle trees and leafy variegated Hosta plants dot the yards of residences in this quiet locale. Lingering in a peaceful garden is a welcome way to unwind from a busy day in this Denbigh parcel of the Peninsula. Always a good sign when a Military Town Advisor review states, "Very safe neighborhood, even at night. Feel safe at all hours of the day." With an assignment to Newport News, "You get to live in the historical part of Virginia, but within an hour drive be at all the big shopping areas or even the beach." From your home base in the Fox Hill community of Hampton, you and your military tribe can explore the abundance of local museums, historical sites and amusement park attractions. After spending time out and about in the crowds, return home for a refreshing walk to the Grandview Nature Preserve and local beach. Much like many of the Peninsula neighborhoods, this amiable Fox Hill address offers a convenient commute to military installations, such as JBLE Langley AFB, JBLE Fort Eustis, Yorktown Naval Weapons Station and Coast Guard Yorktown. "It's far enough from businesses that we get deer in the yard at night, but still close enough that it isn't a hassle to go shopping. I am not a fan of big cities, so it was a relief to find this place. It is also near the beach which is great in the summer! The people on my block all stopped by to welcome us to the neighborhood." “Semper Fortis - Always Powerful. Always Courageous.” Home to the largest naval base in the world, Norfolk is a proud Navy community. Nostalgic red brick ranch style homes and New England inspired Cape Cod cottages are nestled among established neighborhoods. Traveling in and out is easy for military families with Norfolk International as the major airport for coastal Virginia. The city continues to revitalize the downtown district with new shopping and dining options and the Nauticus Maritime Center and Battleship Wisconsin on display. While setting sail around Hampton Roads, Virginia, take a look at the Larchmont neighborhood of Norfolk. Colonial brick fireplace. Original hardwood floors. Custom framed windows. These appealing interior design elements are often found in the classic bungalows of the Larchmont borough. With the proximity to Old Dominion University, living in Larchmont gives your military brood plenty of options for shopping, dining, and community activities. If looking forward to an assignment to Naval Station Norfolk or Naval Support Activity Hampton Roads, this popular Norfolk district is an ideal choice. "Old New England-like homes. Lots of culture and things for the kids to do. Safe for the kids. Some homes flood during storms and some do not: very far north end of Larchmont (Fairwater Dr.) does not." "If you're looking to live minutes from base in a family-friendly neighborhood with great schools, there is no question that Larchmont is the best neighborhood to be in. We are blocks from Larchmont Elementary, the Larchmont Library, and ODU where there are tons of activities to keep us occupied when [my husband] is gone! When he is on land, he is minutes from base, so he never has to waste valuable time each day in traffic. When I was working in Virginia Beach, I never dealt with traffic issues either because I was always going the opposite direction - wonderful! 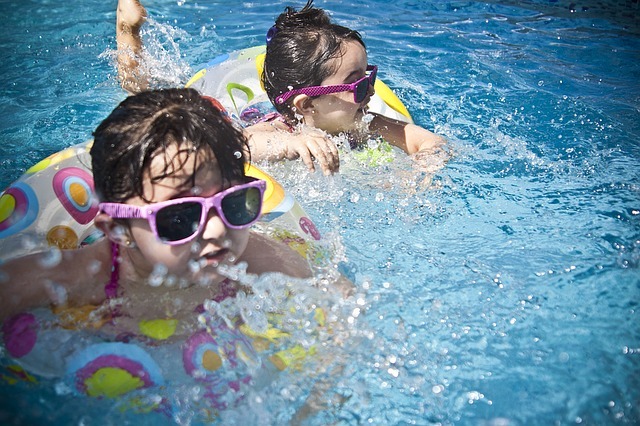 The kids have tons of friends in the neighborhood, so we are always outside playing and mingling." "This is a great neighborhood if you have kids or without. You will meet lots of people walking or running thru the streets. Kids still can play on most streets. Larchmont is one of the neighborhoods that do flood with hurricanes or lots of rain but it's mostly street flooding. Most of the homes are from the 1930's with lots of character." 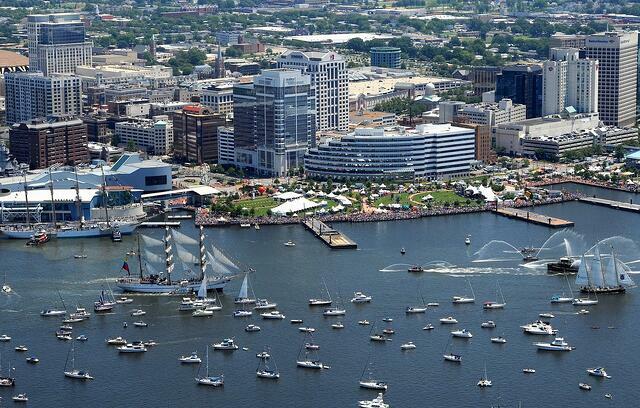 Across the Elizabeth River from Norfolk you’ll find the military-friendly city of Portsmouth. Well known for the industrious shipyard, the community also boasts a quaint historic scene where you can grab a latte and stroll the streets in search of one-of-a-kind gifts or kitschy antiques. For military members who prefer apartment or town home living, Portsmouth offers a variety of properties within an easy walk of the waterfront seawall. With military families in mind, those who live in the Long Point area of Portsmouth are happy to spend less time driving to work and more time enjoying the copious amenities of Hampton Roads. On a recent episode of a popular real estate TV show, a young couple hunting for a house came across a hidden gem of a housing development. A similar scenario could occur when your and your family are out home shopping in Portsmouth and land at the Long Point locality. This delightful domain includes well-kept abodes, ample yard space, and welcoming neighbors. 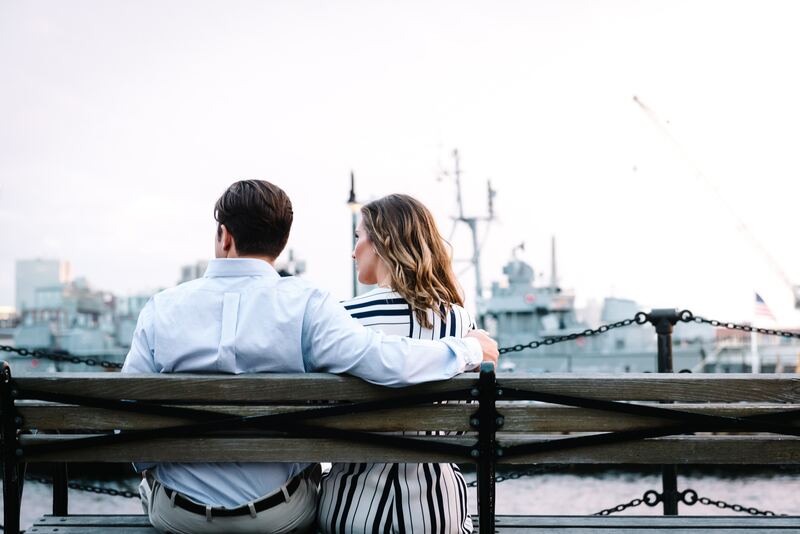 From Long Point, savor a short commute to Coast Guard Base Portsmouth or find your way with ease to other military installations such as Naval Medical Center Portsmouth or Norfolk Naval Shipyard Portsmouth. "We LOVE this neighborhood," a review of Long Point from Military Town Advisor describes. "The day we moved in, all of the neighbors came over and welcomed us in. We had a power outage due to a storm and two people offered to hook us up to their generators. The people here are extremely friendly. I go running every day and everyone waves and smiles. The neighborhood is safe, and there are many nice, respectful children playing outside. There are sometimes people I would have considered as 'questionable,' but I have quickly learned not to judge because everyone has been very friendly. Many of the houses are on the water as well which is very nice. People keep up their yards (for the most part) and I always get compliments from people who visit. The location is convenient to just about everything and if you are stationed in Newport News the drive is about 15 mins and rarely any traffic. This is an awesome place to live." Riding a bicycle around the cul-du-sac. Celebrating a birthday with a pool party. Selling lemonade from a table in the front yard. Embracing these simple joys of childhood is an important part of growing up in a military family. Parents who are looking for a safe space to raise their children will feel at ease when they discover the captivating homes nestled in the family-friendly community of Carrollton. When moving your kin into a new place, it is helpful if the locale hosts community events where your military family can meet others in a casual and fun atmosphere. With this in mind, it’s easy to gather with newfound friends at Celebration Park in Eagle Harbor. The municipality of Carrollton mixes the charm of down-home country living with plenty of modern amenities. After a long day of work at the DoD Complex in Suffolk, cruise back over the Nansemond River to Eagle Harbor and enjoy the serene community lake, sparkling pool and well-appointed clubhouse. "Eagle Harbor in Carrollton, VA is a small town in Isle of Wight County, close to Smithfield. Just a few years ago, it was a bunch of soybean fields, and now it is a lovely neighborhood with a grocery store, pharmacy, dry cleaners, a few restaurants, and more. It is the perfect location for Peninsula-based people, as it is just 2 minutes from the James River Bridge and for those stationed in Portsmouth and Norfolk." 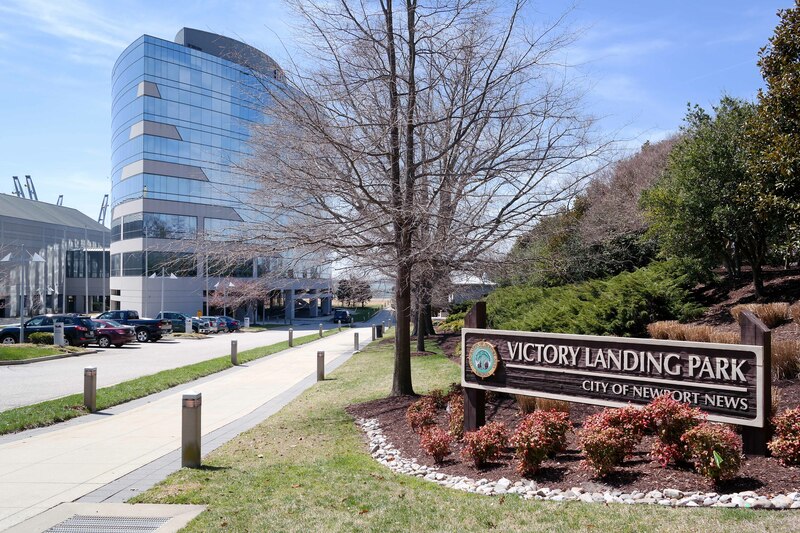 "Absolutely perfect location for anyone stationed at the Newport News Shipyard. The commute is around 15 minutes across the James River Bridge. A wonderful family friendly community, with lots of planned events. We can walk to the community shopping center with a Food Lion, restaurants, hair salon, doctors office, etc. We love that we feel like we are in the country, but can be in the city within 15 minutes. Very close to two wonderful YMCAs! This is truly a hidden gem!" While out house hunting in the Hampton Roads area, you might hear a military spouse share a statement of approval about their residence in Chesapeake. From new construction to new-to-you homes, the Western Branch area includes a pleasing selection of housing inventory. From street to street, you’ll note several walking and running trails, often edging the wilderness of the serene wetlands nearby. With good schools and good amenities, you’ll understand why so many military families choose to call Chesapeake home. Sports, dance, martial arts, Scouts--no matter what your children prefer to do, you can find every activity imaginable in the Western Branch area. Homes in Chesapeake tend to fit a large family. Also, the residences have plenty of outdoor room to roam with spacious yards and well-groomed local parks. From a Western Branch address, you can wind your way to a bevvy of Hampton Roads military installations in Portsmouth, Suffolk, Norfolk, Virginia Beach and Southern Chesapeake. "Western Branch is part of Chesapeake, but the less crowded section. I-664 runs through this neck of Chesapeake, making easy access to Newport News and Norfolk (Portsmouth) shipyards, Naval Hospital Portsmouth, and the Portsmouth Coast Guard base. Western Branch has great schools, parks, and plenty of shopping options. 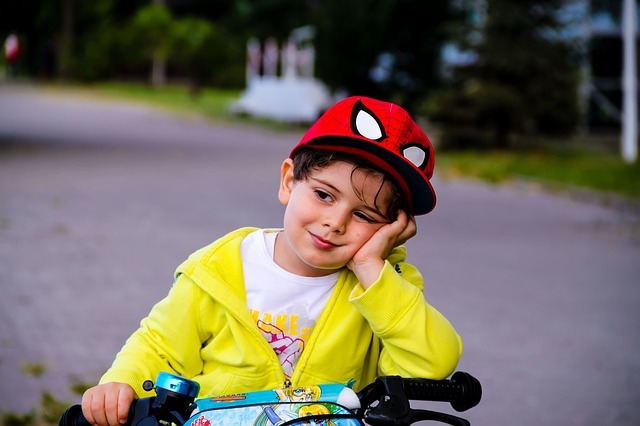 As a family community, there are many soccer, baseball and football leagues, scouting groups, dance groups, and clubs to keep your children busy. Recreation includes parks and hiking trails along the old rail lines." "Western Branch is one of Chesapeake's best kept secrets." Climbing to the top of the Cape Henry Lighthouse, you and your adventurous crew have a panoramic view of the waters of Chesapeake Bay meeting the North Atlantic Ocean. 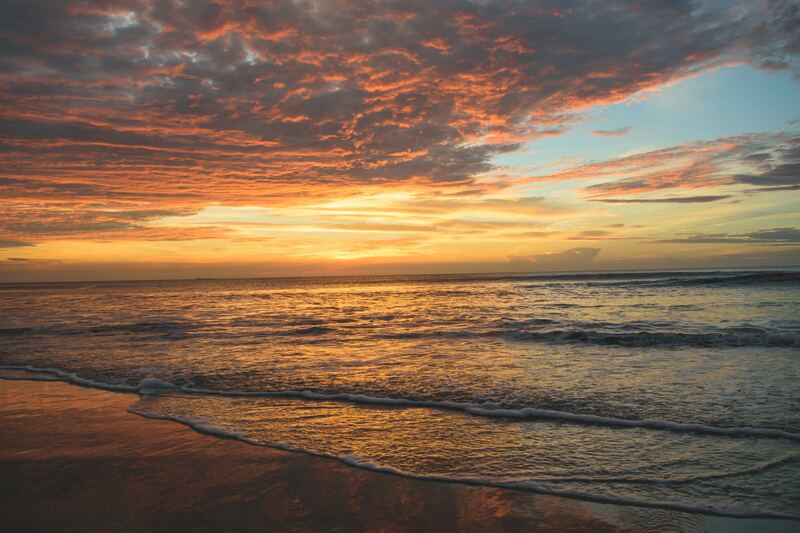 Looking out across the widespread sea, you're sharing the same view as the early colonists who first reached this land in 1607. Needless to say, there's a sense of history down every mile of your travels around Virginia Beach. When looking for a place to make your own history, with friendships and memories, browse the properties tucked in the Princess Anne Woods. When family and friends come to visit, picture yourself piling everyone into the car and spending the day soaking up sunshine on a private beach. This daydream can be a reality when you move to Virginia Beach and live in Princess Anne Woods. Watch the aerobatics of the Blue Angels practicing from nearby Naval Air Station Oceana while lounging in a cabana near the Cottages at Dam Neck Annex. After a full day of fun in the sun, return to the splendors of your Princess Anne estate. The majestic manors in this posh locale will have you and your guests feeling like royalty. Reviews of Princess Anne Woods on Military Town Advisor highlight the chateaus as "beautiful, well-manicured homes" in a "family-friendly environment." "Neighborhood social events" invite family participation and even dogs and cats are welcome in the "pet-friendly" atmosphere. The private cul-de-sac streets are "perfect for children to play." From the York River to the Great Dismal Swamp, the Southeastern corner of Virginia includes a wide variety of communities and distinct neighborhoods. While looking forward to a military move to Hampton Roads, take a little time to discover the blog posts on MilitaryByOwner that detail the housing inventory of this diverse district. Additionally, by browsing neighborhood reviews on Military Town Advisor, you can get a feel for what this neck of the Virginia woods is like. The more you can find out about your upcoming location, the better you’ll feel about your pending military move. If you’re currently stationed in the vicinity of Hampton Roads, what are your top picks for neighborhoods? Please share with us in the comment section!